Preheat oven to 300° F. Line two baking sheets with parchment paper. 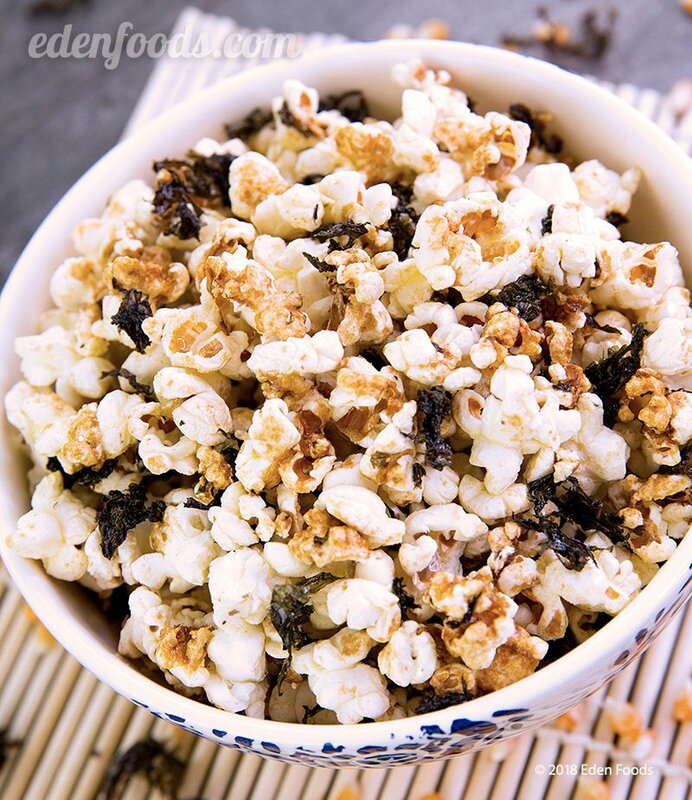 Place 3 tablespoons olive oil and popcorn in a large pot and pop per package directions. When done popping, place in a large mixing bowl. Whisk 3 tablespoons olive oil, shoyu and maple syrup together in a small bowl. Drizzle over the popped corn. Add the nori and mix. Spread popcorn evenly over baking sheet. Bake for 5 to 7 minutes.